I’m lazy actually doing some write up and posts over my sites lately. Because I just got ill these past few weeks ago and I dont feel myself better yet until this time. Anyway though, I am still trying to update this site even with this simply finds or styling photo that I’ve seen over my Facebook feed this morning. 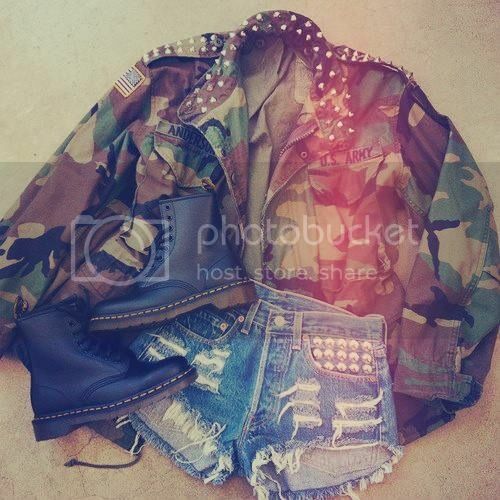 I actually pretty amazed with it because even camo or military uniform are can be turn in to great girl’s fashion finds which I found really dope and chic. This entry was posted in Accessories, Brands, Entertainment, Fashion, Fashion & Styles, Fashion Collection, Fashion News, General & Services, Men's Fashion, Online Stores, Streetwear Fashion, Trends.